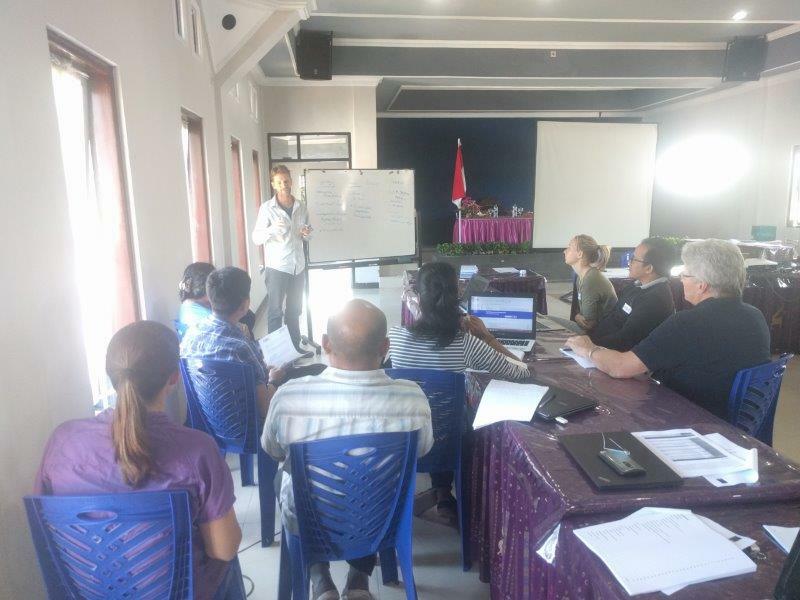 Thanks to The Crawford Fund, 17 researchers and academics from six universities (Charles Darwin University, Australian National University, Western Sydney University, Nusa Cendana University, Halu Oleo University & Christian University of Wira Wacana) met in the mountain town of Soe, in Central-West Timor, Indonesia, for a three-day writing workshop. 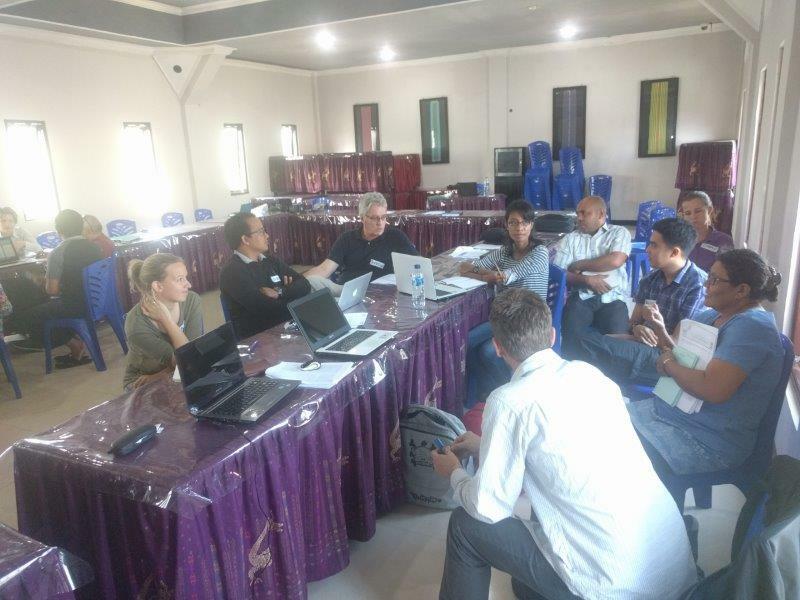 Coordinated by Rohan Fisher, Dr Sarah Hobgen and Sam Pickering, the workshop was part of a 3.5 year DFAT-funded small-scale mining project on artisanal and small-scale mining for development in Eastern Indonesia. “This activity provided a unique opportunity to enable significant advancement in research outcomes arising from the 3.5 year GPFD capacity-building and linkage program,” explained the team. Facilitated by Dr Vivien Silvey of the ANU’s Academic Skills & Learning Centre, the purpose of the workshop was to work with Indonesian university partners to develop a number of journal paper outputs from the last three years of on-the-ground research and capacity-building activities. 10 Indonesian researchers were trained in how to construct academic papers, including making an informative, clear and concise title, a logical and convincing rationale and aim, presenting key findings after critical analysis, and writing a discussion with appropriate reference to literature. “Building academic writing skills is important for all people involved in research and even more critical for those with English as a second language,” said the team. Seven papers were worked on as key outputs from the training course, with clear structures, authorship and timelines, and were expected to be ready for submission by the end of 2017, to be published by international journals. Journal articles drafted with project partners from Nusa Cendana University (Kupang) focused on the potential positive livelihood impacts of artisanal/small-scale manganese mining in West Timor, while journal articles drafted with partners from the Halu Oleo University (southeast Sulawesi), focused on the downstream environmental and social impacts of artisanal/small-scale gold mining. This training course will continue to build higher education and research capacity in Indonesia and grow international linkages and relationships between Eastern Indonesian Universities, Charles Darwin University and the Australian National University. Feedback was overwhelmingly positive from participants with many requesting follow-on workshops and additional time with coordinators. “I thought it was really comprehensive and was great that we could ask additional questions as we went,” said one of the participants.